Hiya everyone! 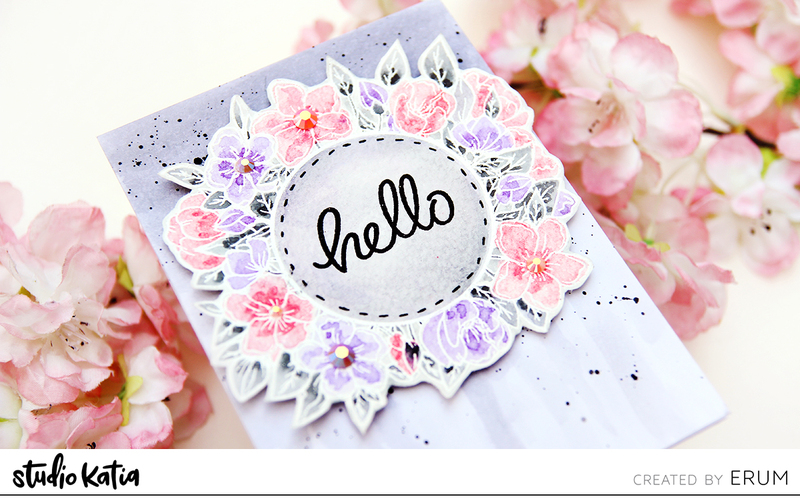 Erum here with a pretty card to share featuring the beautiful Floral Wreath Stamp Set. Since the Floral Wreath Stamp is quite large. I kept my card super simple and let the wreath be star of the show. I heat embossed the image in white and watercoloured the flowers alternating between purple and pink. For the leaves, I chose to go with grey as I was aiming for a very soft look. Once the watercolour was dry, I fussy cut the image and set it aside. For the background, I mixed purple and grey watercolours to make a dusty purple colour and added an ombre colour wash which ended up as drips as I progressed from top to bottom. Once the background was dry, I added fine black paint splatters. 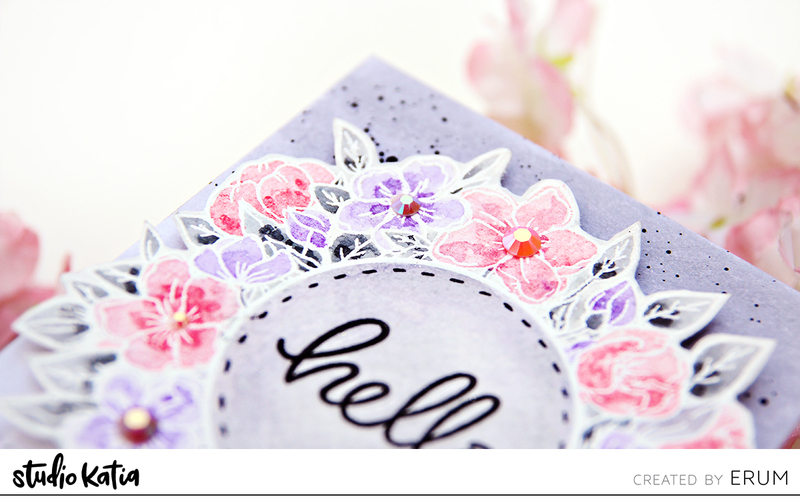 I stamped the “hello” in black and added some faux stitching around it. To finish, I adhered crystals as flower centers from June Crystals and Cupid’s Kiss Crystals. I love how soft and pretty the card looks! I hope you like it as well.